#Dynadot : Searching for new #domains promotes a sea of new gTLDs instead of the obvious! :DomainGang #Dynadot : Searching for new #domains promotes a sea of new gTLDs instead of the obvious! #Dynadot : Searching for new #domains promotes a sea of new gTLDs instead of the obvious! How times have changed. In a sea of new gTLDs, the good old dot .COM appears to be a secondary choice. At least, that’s what Dynadot wants us to believe. 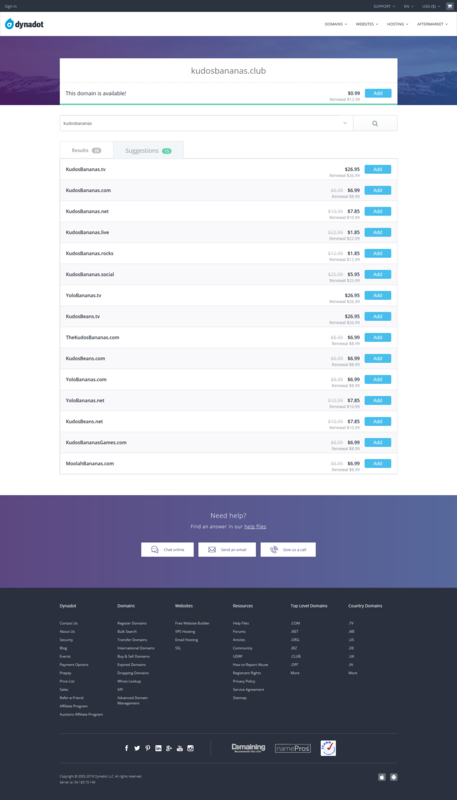 As weird as it seems, when searching with the Dynadot tool for available domains, the main list of results contains no less than 20 gTLDs and ccTLDs! In order to view the most obvious choice, dot .com, one has to click on the secondary tab in the results, named “Suggestions.” That tab displays the number of results in a faded out, gray color, instead of green. This type of psychological direction isn’t news; UX specialists utilize this approach to place emphasis on certain options, and affect a visitor’s clicking behavior. That’s quite subtle but effective: many visitors would stop there and choose one of the first results, instead of continuing lower on the list, or clicking on the other tabs. 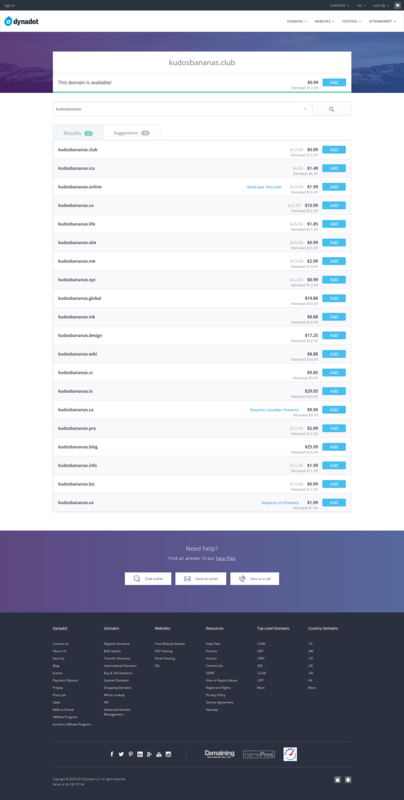 Other registrars do something similar: Uniregistry promotes dot .link first, then the .com and other TLDs, while GoDaddy displays the .com and presents an option to add other extensions if necessary. New gTLDs offer opportunities for a bigger revenue stream than .COM and other legacy extensions. See the Dynadot search results screenshots below; kudos to Dale for the story. Numbers : What percentage of Uniregistry gTLDs are GoDaddy customers?